Bengals and Hunt. In or out? 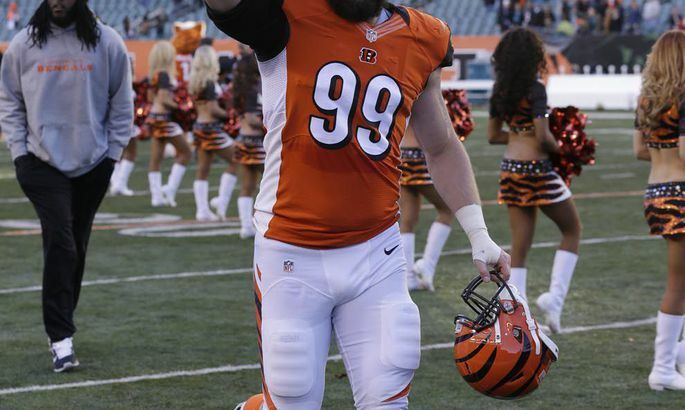 Two seasons at NFL under his belt, this summer served Margus Hunt dire straits. 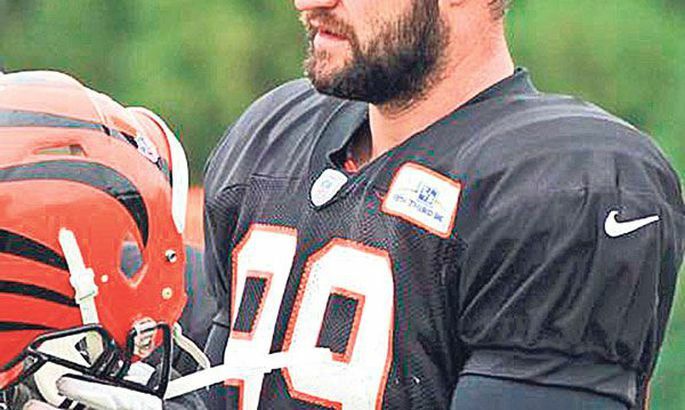 Injured in gym in spring, the season of topmost importance begun badly: at end of May, the kick-off training week for Cincinnati Bengals launched without the Estonian. With preparations peaking, huge question marks hover over Hunt. Margus Hunt tormab neljapäeval taas võitlusse. On July 30th Bengals starts its training camp featuring the bona fide physical combat. Thus, by end of next week we’ll find out the true condition of Hunt (28). Last year, the Karksi-Nuia born footballer had a wonderful summer and it was assumed he will have his NFL breakthrough. Not so. For many, Hunt proved a disappointment. All told, he played in 12 games and got seven tackles and one sack. And then there was an injury, spelling four games missed. «We considered Hunt a potential breakthrough, but he proved a huge disappointment,» recalls a «Bengals reporter» Anthony Cosenza. This year, it is rather being discussed if the man will make it to Bengals ranks of 53 chief guys at all. In eyes of lots of experts, Hunt now looks like a bubble player – barely on the verge of main team. «They think he will be on the very balance. If he gets in and manages to stay whole, he might be rather vital in defence,» continued Cosenza, a bit more optimistically. Another journalist interested in Bengals, Jason Marcum, predicts the worst: after training camp, hunt is off and leaves the team. He said a rapidly developing Will Clarke will be picked to play along Michael Johnson, Carlos Dunlap and Wallace Gilberry. «Margus Hunt will probably be out, having failed to prove himself in two previous seasons,» wrote Marcum. In January, the team’s defence coordinator Paul Guenther told ESPN he hoped to do lots of individual training with Hunt and Clarke preparing for the season. This was supposed to be the weightiest summer in the Estonian’s career. Guenther said they were planning to diligently deal with the physical side and the so-called classroom studies. Now, Clarke is getting ahead of Hunt as the talented young American (24) has been able to train unhindered. The coaches sing his praises and confidence is up. This year, Bengals will play four pre-season games, the first scheduled on August 14th against New York Giants and the last vs Indianapolis Colts on September 3rd. Two days after that, Bengals will announce the 53 main team players. The season will start by playing Oakland Raiders on September 13th. If Hunt’s unable to outdo Clarke during the 1.5 months to come, Bengals will bless the Estonian with $500,000 to be a free agent. A full season would line the Hunt pockets with over a million.